Heat pumps, automatic dosers, security covers, pool enclosures, and more. By heating your pool you can extend the swimming season from April to October. Previously regarded as a luxury option, prices of heat pumps have dropped rapidly over recent years making it much more affordable to heat your pool. At ProjetPiscine we offer a range of three heat pumps from different manufacturers. 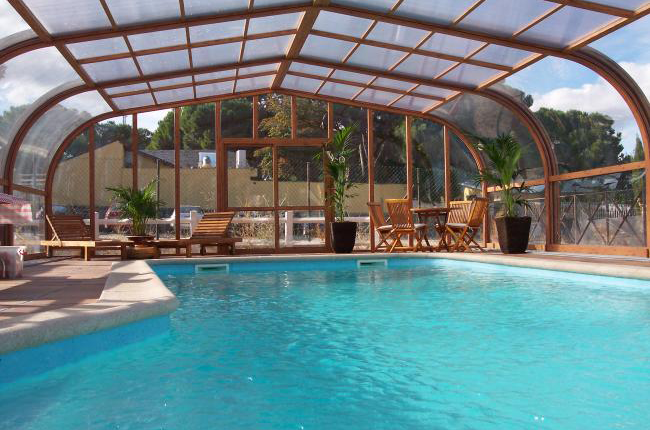 Heat your Swimming Pool to 28°c from 1,50€ / day! In accordance with the French law no. 2003-9 du 3 Janvier 2003 with relation to Swimming Pool security, all private swimming pools must be equipped with a means to secure their pools. At ProjetPiscine we believe the ideal solution is to install an automatic cover which can be either mains or solar powered. 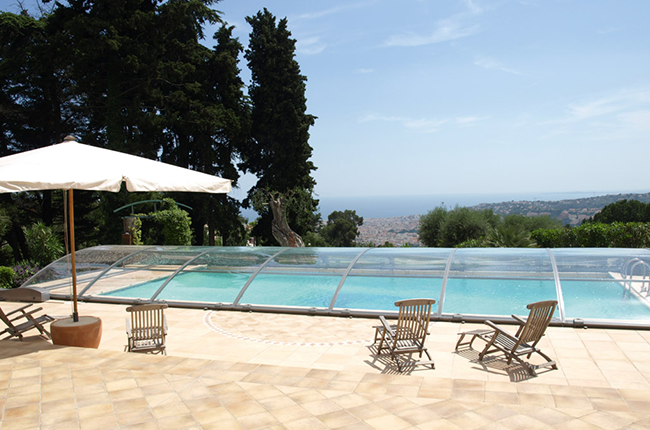 With a Swimming Pool enclosure you can use your pool virtually all year round. There are many different types of enclosures to suit all types of pool - they can be fixed or movable to enjoy the best of both worlds - open air on those hot summer days or inside when the weather is not so suitable. This technology takes the worry out of maintaining a clean, safe, sparkling Swimming Pool. The dosers automatically adjust the level of chlorine and pH to keep your water in perfect condition.